Guaranteed to warm up any adults coming in from the cold, these savoury delights take just 5 minutes and 4 ingredients to rustle up. 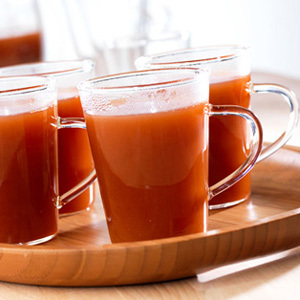 Heat the stock, V8® juice and chilli sauce in a saucepan over a medium heat to a gentle boil. Stir in the vodka. Divide the mixture among 4 mugs or heat-proof glasses. Serve immediately.